Rainy day. 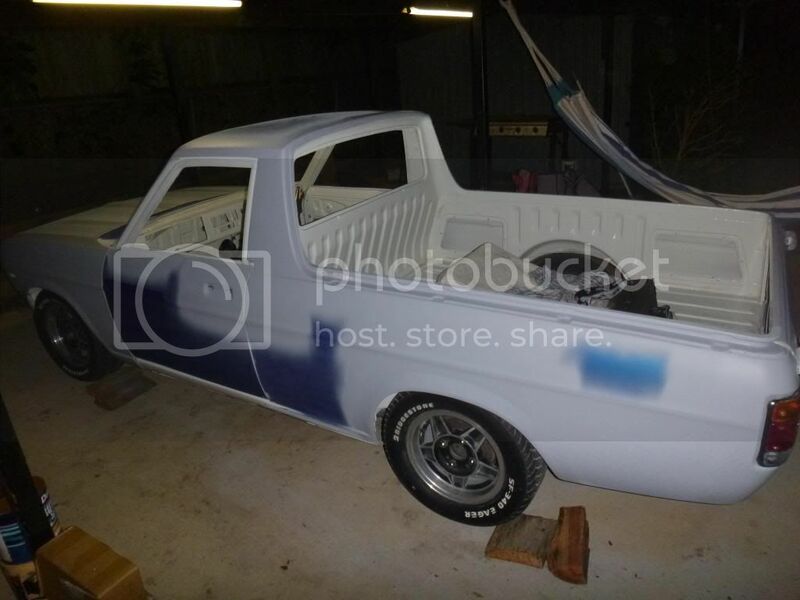 Time to post my new ute build. 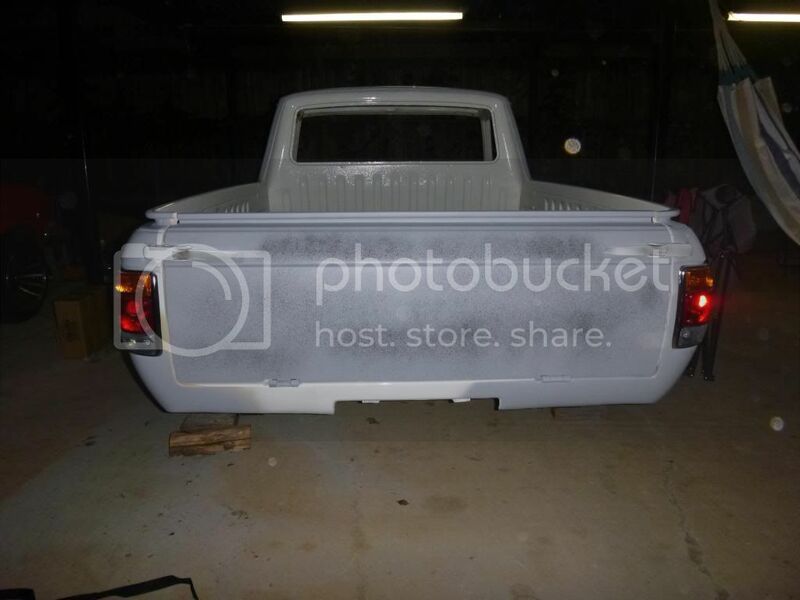 I purchased this ute a few months ago. 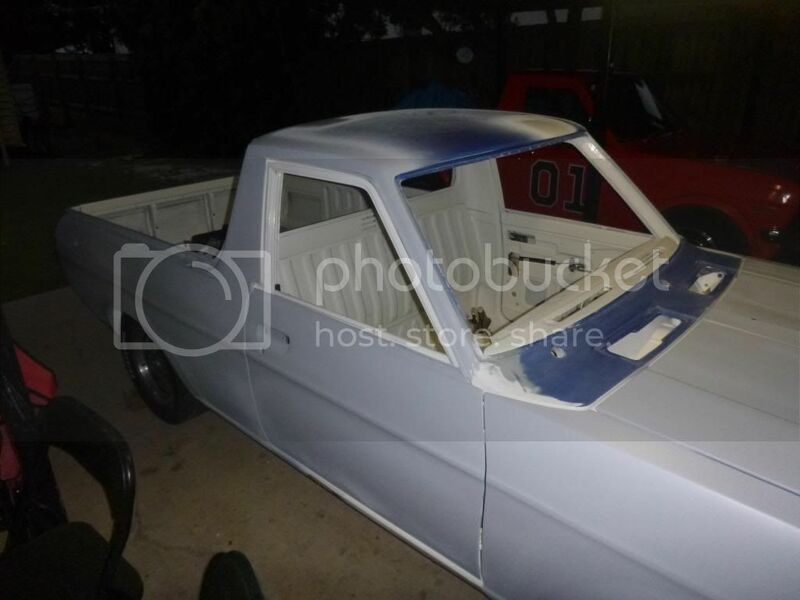 It was an unfinished project from a panel beater. Unfortunately for him it was time to sell. He might even be a member on here. His name was Bryce. 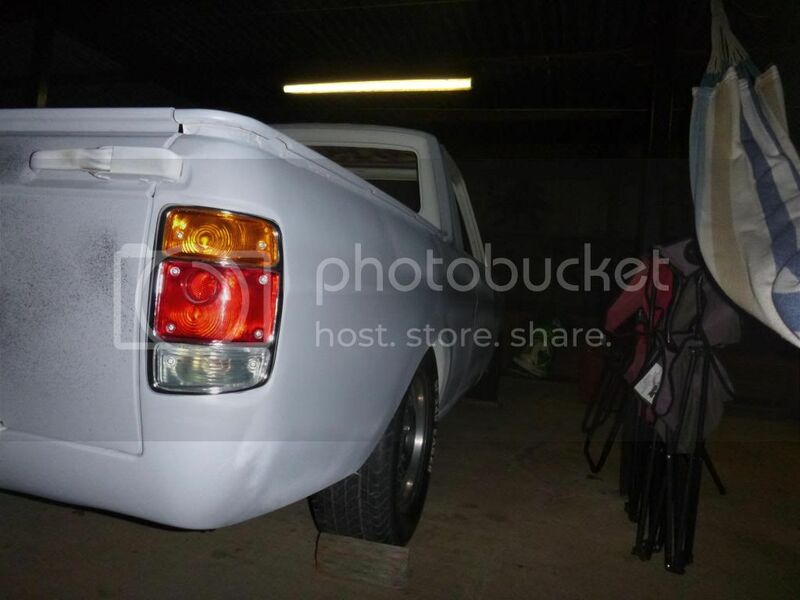 He put alot of work into this ute. All new panels. Every panel seam sealed. New floor plans. Appears to have all rust spots cut out and repatched. Shaved rear bumperettes. Shaved fuel door. Passenger door lock sealed. Battery compartment relocated under tray with fabricated holder. Reinforced front chasis rails with welded SHS steel sections. Handbrake location moved backward in cabin. Firewall at front wheel arches modded to allow for bigger wheels. 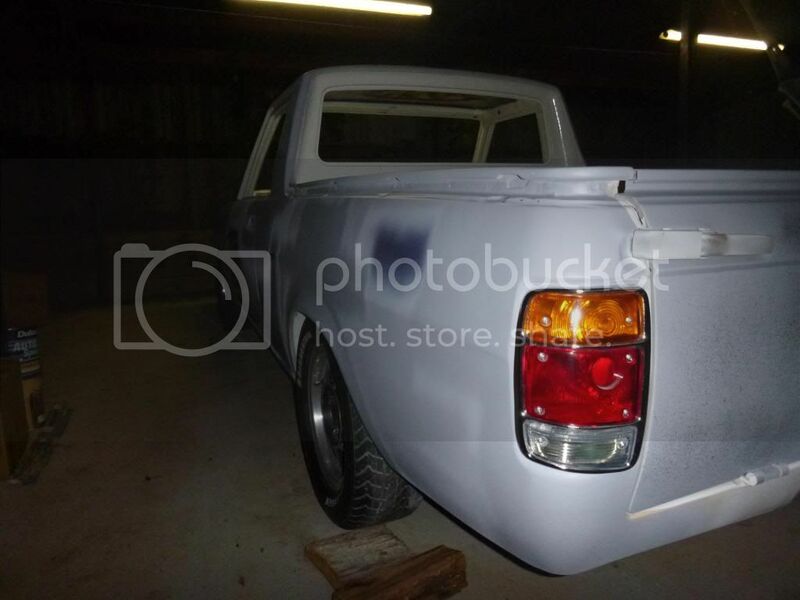 Rear wheel arches removed for modification. I think thats all I can remember him telling me he did to it. He was setting it up for a CA turbo race car. Engine bay painted, Cabin painted, tray painted with tinted liner. Here are some pics of it before I touched it. Came with all the dis-assembled parts, no motor, no gearbox. My plans are a L18 motor lightly worked. 5 speed dogleg gearbox. Standard diff. 180B struts with coilover kit. So I'm diving into the unknown. L-series....the dark side. Awesome starting point man. L series are fun and as said L18 are a top motor. Yep L series 1200 are great. Until you change gearboxes in a small tunnel lol. Great starting point. Cam and carbs you will be happy. Thanks guys. Never built a car ground up before so I'm quite worried about it. Would have been better to strip it down and rebuild. That way I know where everything goes. L-series isn't the dark side - Datsun put them into factory B110 and sold them to retail customers. It's a great engine, nearly as perfect as the A-series. And certainly larger/more HP. So for the past few months I have been buying and collecting my parts for the rebuild and the L series conversion. No complete motor as of yet. I have also been planning to paint the underside of the car shell because it was never coated by the previous owner from what I can tell. Except for the new floor sills which were primed. For this I have bought a U-Pol Raptor Liner kit and am planning to spray the underside with a Schutz gun. I have prepped the underside with a scour pad and wax/grease remover along with Etch Primer. Spent a whole weekend on my back prepping it all and priming. The current dillema is how to get enough clearance underneath to paint the whole thing. 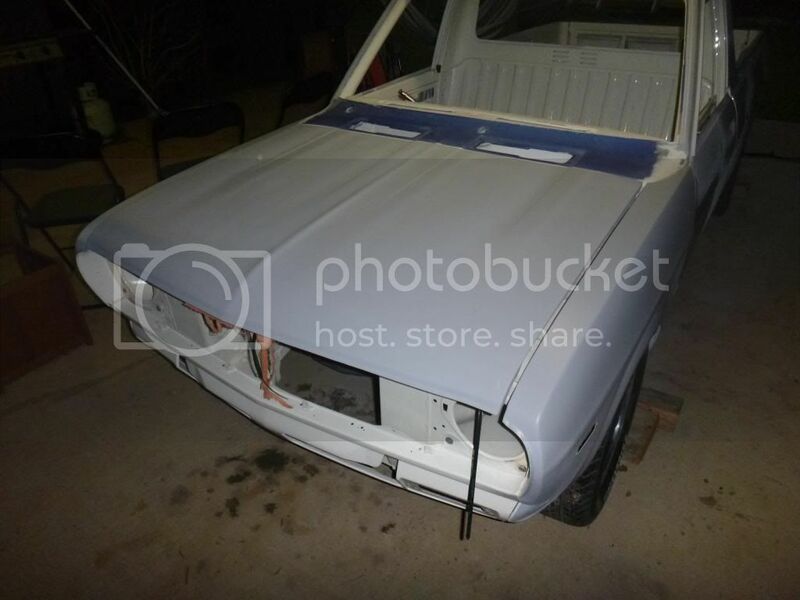 I have borrowed a rottiserrie from a fellow car enthusiest but without significant modifications to it, there is no way I can get the shell onto it. I think I may resort to painting the underside of the tray first. Then assembling the rear end. 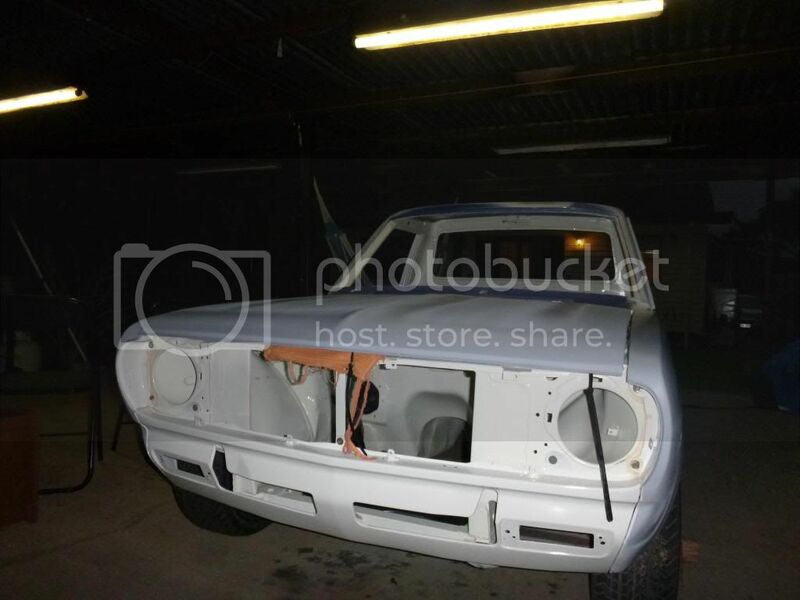 Then locking the rear tyres in place and raising the front end up with an engine hoist to finish the paint job. Also in addition I have been testing the wire loom for continuity. Also have been restoring some parts with a coat of gloss black epoxy enamel paint including the diff, steering bits, sway bar, radius rods, cowl grilles, rear brake covers, leaf springs, and some other parts.